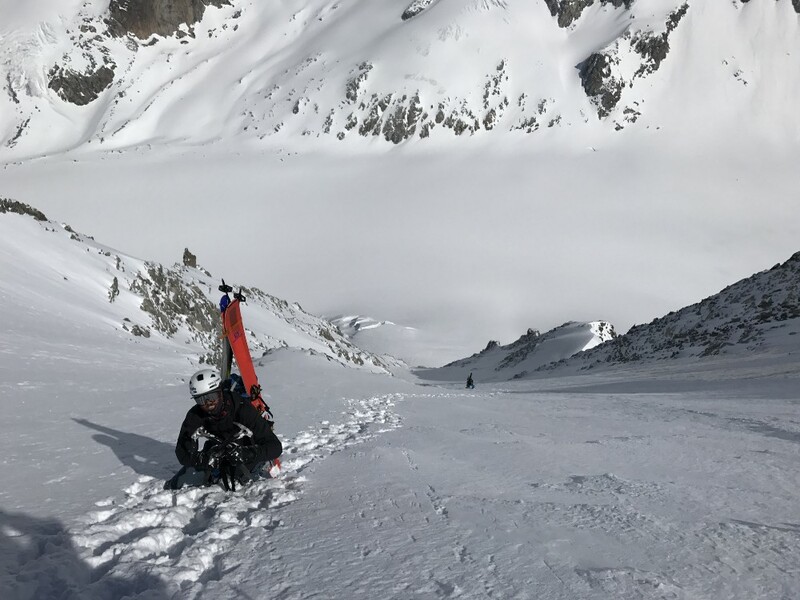 In April, Baker Boyd traveled to the French Alps with fellow Freaks (Aspen’s fastest ski gang) to test himself on the glaciers surrounding Chamonix. This is his brief recount of his most meaningful ski trip to date. 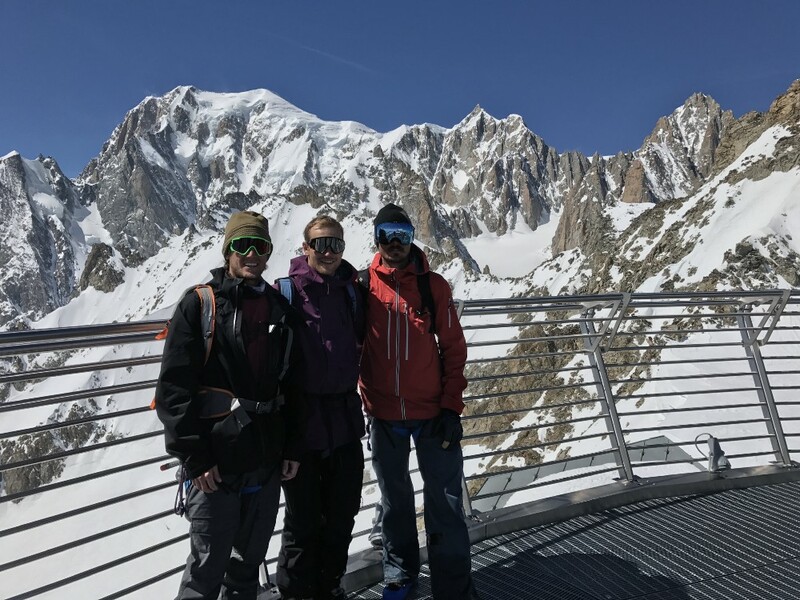 I flew into Paris on April 3rd and drove with my friend Victor Major to meet up with our friend Sam Coffey in Chamonix. We had wine and cheese and went to sleep, looking forward to the skiing to come. In the morning we bought a one way ticket up Grand Montets. From the top of the tram we took the psycho traverse into the Argentiere Glacier. The terrain was massive, huge walls covered mostly with rock and ice. We skinned to the end of the glacier, eventually hiking and skiing the steepest run of my life. It set the mood for the rest of the trip and was exactly what we were looking for. 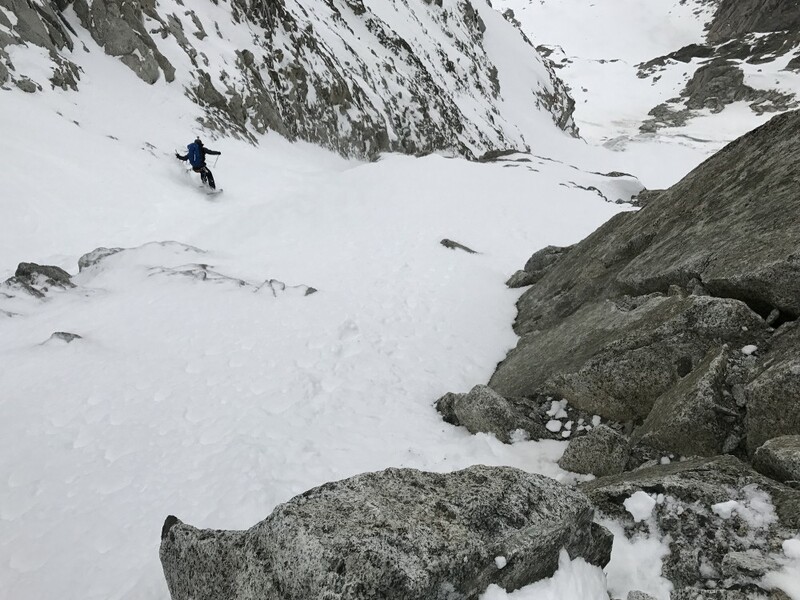 Highlights of the two weeks in Chamonix: Pointe Eales, Les Courtes, Cosmiques, Glacier Ronde, Toure Ronde/Geravasutti, La Fouly, Mont Favre, and the west couloir of Chardonnet. We traveled to Italy a few times, eating pizza and gelato and lapping the Helbronner and Courmayeur. We skied all over, stayed in the Refuge d’Argentière, met new friends, and ate great food. Our skills as skiers were put to the test and improved upon, which was the goal of the trip. In Europe the mountains are huge with over 9,000 feet of relief and particularly in Chamonix the motto is self reliance. If you think you can do something, you can try to do it, but you have to be able to take care of yourself. It’s a great place to go to test yourself and live. This was an eye opening trip that I feel lucky to have experienced with great friends, in an environment I hope to be back in soon.